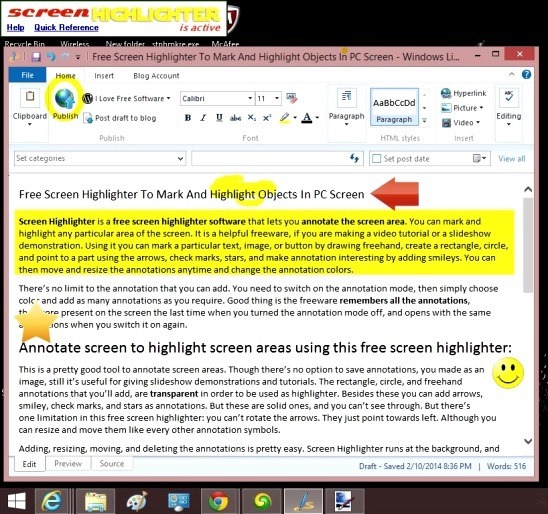 Screen Highlighter is a free screen highlighter software that lets you annotate the screen area. 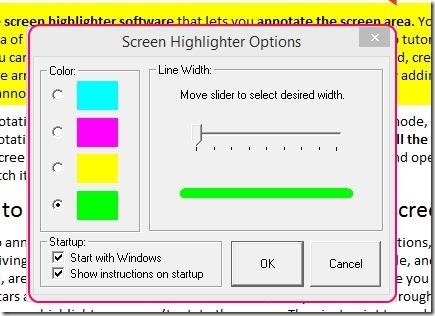 You can mark and highlight any particular area of the screen. It is a helpful freeware, if you are making a video tutorial or a slide show demonstration. 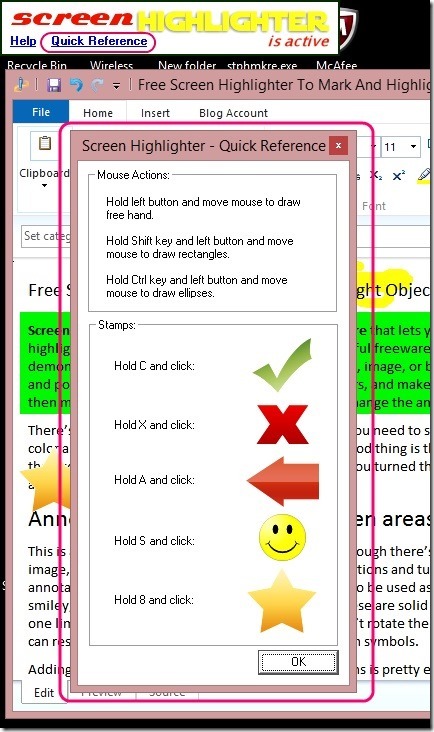 Using it you can mark a particular text, image, or button by drawing freehand, create a rectangle, circle, and point to a part using the arrows, check marks, stars, and make annotation interesting by adding smileys. You can then move and resize the annotations anytime and change the annotation colors. There’s no limit to the annotation that you can add. You need to switch on the annotation mode, then simply choose color and add as many annotations as you require. Good thing is the freeware remembers all the annotations, that were present on the screen the last time when you turned the annotation mode off, and opens with the same annotations when you switch it on again. This is a pretty good tool to annotate screen areas. Though there’s no option to save annotation as an image, still it’s useful for giving slide show demonstrations and tutorials. The rectangle, circle, and freehand annotations that you’ll add, are transparent in order to be used as highlighter. Besides these you can add arrows, smiley, check marks, and stars as annotations. But these are solid ones, and you can’t see through. Also, there’s one limitation in this free screen highlighter: you can’t rotate the arrows. They just point towards left. Although you can resize and move them like every other annotation symbols. Adding, resizing, moving, and deleting the annotations is pretty easy. 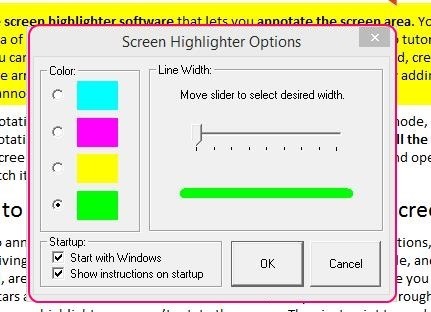 Screen Highlighter runs at the background, and you can turn on the highlighting mode by right clicking on the freeware’s tray icon and choosing Start highlighting option. You can also enable highlighting mode by simply pressing Ctrl + H keys. 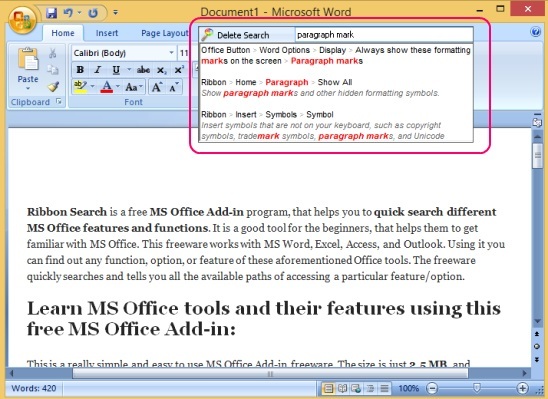 There are instructions on how to add and delete annotation marks. You can access it by clicking on Quick Reference button. The process is very simple and easy. Simply add freehand annotation by click-drag method, add rectangle by press-holding Shift key and click drag, add circle by press-holding Ctrl and click-drag method, add arrow by press-hold A and click, add smiley by press-hold S and click, add check mark by press-hold C and click, and add star by press-hold 8 and click method. Deleting an annotation mark is the easiest, simply right-click on any annotation to delete it. 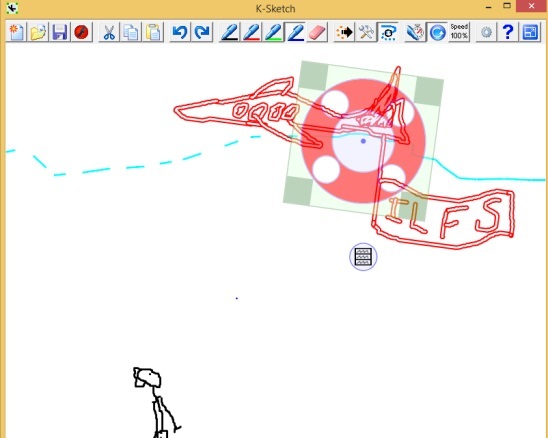 Draw free hand, add rectangle, circle, arrow, smiley, check marks, and stars on the screen. Press Ctrl + h to switch on/off annotation mode. Remembers last drawn annotations when you turned annotation mode off and loads them on next turn. Resize, move, and delete annotations. Change annotation color (right-click and choose Option). Here are 3 more similar freeware. Check them out here. 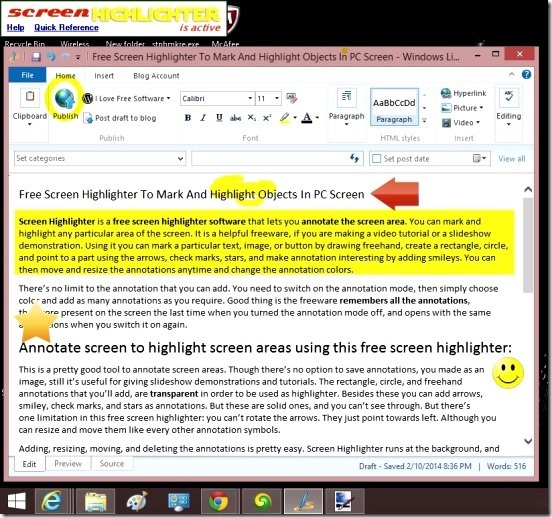 Screen Highlighter, certainly is a good free screen highlighter software. It does its job well. Moreover, it’s fast, simple, easy, and effective.